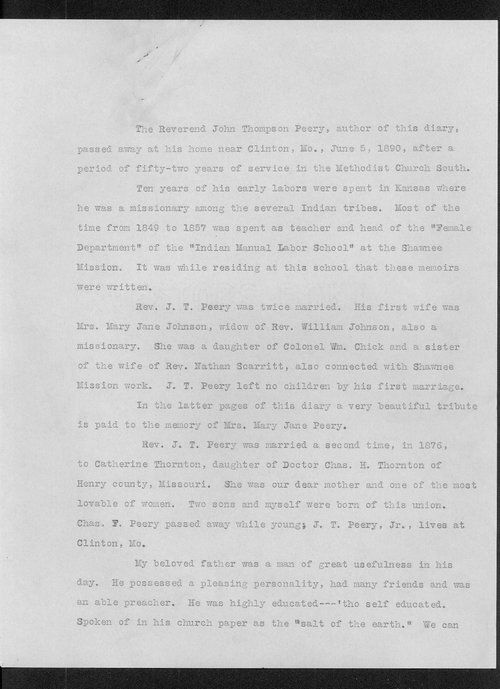 This item, acquired from Mary Peery Whittaker by William E. Connelley of the Kansas State Historical Society, contains diary entries written by Reverend John Thompson Peery who was served the Methodist Church South for 52 years. According to Mary Peery Whitaker, the entries were written while Reverand Peery was a teacher at the Shawnee Mission. Entries date from 1850 to 1879.